Introducing Innoplex™, maibec's new innovative industrial-grade coatings. Maibec's Eastern White Cedar shingles are better than ever, thanks to a new advanced coating! Maibe have taken the latest and best stain application process and combined it with Innoplex™, an industrial-grade stain that outperforms all other stains in extreme conditions. Innoplex™ has been developed specifically for maibec's state-of-the-art machine coaters, using 10 monopigment bases. Highly resistant, it provides greater opacity, slower aging, stability of color over time, and guaranteed color fade-resistance. Innoplex™ is available only on Maibec shingles. FSC® certified white cedar shingles available upon request. The Classic - Resquared and Rebutted: Shingles are resquared and rebutted for a beautiful natural finish that doesn’t require additional on-site trimming. Then they are kiln-dried for a greater stability and durability. Victorian Styles: Whether you want a decorative look, or need to break up large sided areas, you can have top quality shingles in an array of classic Victorian choices. You can chose from Squares, Fish Scales, Arrows, Diamonds, Rounds, Hexagons, Octagons, Diagonals, and Half coves. 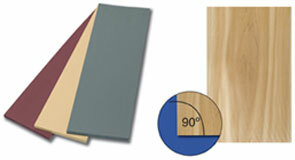 Pre-assemble Strip: Maibec's cedar strips affer quality white cedar shingles pre-assemble for self – aligning keyways. They are engineered to be a more efficient and economical way of installing shingles – without compromising the look or traditional integrity of the home. The systematic design guarantees alignment of keyway spacing over three successive courses, so shingles go up fast (reduce installation time by up to 60%) and look good. Available in Nantucket ans Kennebunk shingles. Pre-assembled Panel: Shingles are fastened to a watertight plywood backer consisting of layer of perforated asphalt felt and a moisture – eliminating rain screen. Each 8’ panel is staple front and back, then glue for maximum stability and durability – and it’s smooth back makes the panel simple to mark and cut size. Available in strait or staggered edge with out side corner.